New York, N.Y. Who we are is shaped by where we have been as much as by where we wish to go. For me, knowing where my family has been over the last several centuries gives me the sense that I fit into the world as I should without worry about my place. I know I am exactly where I should to be. To be a part of the mosaic of America, with my adopted Asian son, is intensely international as well as American. 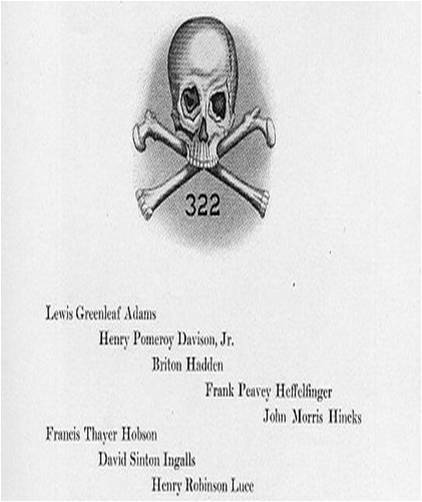 Yale University Skull and Bones included Henry Robinson Luce in its 1920 roster. Although a secret society, I understand my father joined at Yale 25 years later.Skull and Bones was founded by Alphonso Taft, my fourth cousin, six times removed. I also know that I, as most families, have my share of skeletons in the closet. Although I go by plain Jim Luce, I was born James Jay Dudley Luce. There is now a foundation being formed in that name. The first time I ever heard my entire name read out loud was when as I was approved by voice vote at an Episcopal Diocesan Convention as youth representative at the age of 16. I thought, That is a name I will need to live up to. Older Americans always ask me about me relationship to Henry Luce (“Harry”), founder of Time-Life magazines. Yes, it is the same family, but not particularly close. The original Henry Luce was born in Gloucestershire, England in 1640 and came over to Martha’s Vineyard. He is my eighthth great grandfather. I am a direct descendant of his oldest son Robert (Henry/ Robert/ Jonathan/ Rowland/ Elisha/ George/ Rev. Frank/ Stanford/Stanford/ me). The publisher Harry Luce was a descendant of the original Henry’s youngest son (Henry/ Josiah/ Nathaniel/ Nathan/ John/ Stephen/ Van/ Rev. Henry/ Harry). This makes him my seventh cousin, twice times removed. Always hard to explain in detail at cocktail parties. My son loves to point out the description of one biographer who described AdmiralStephen Bleecker Luce as “Intensely unhumorous,” laughing that it must be genetic.. 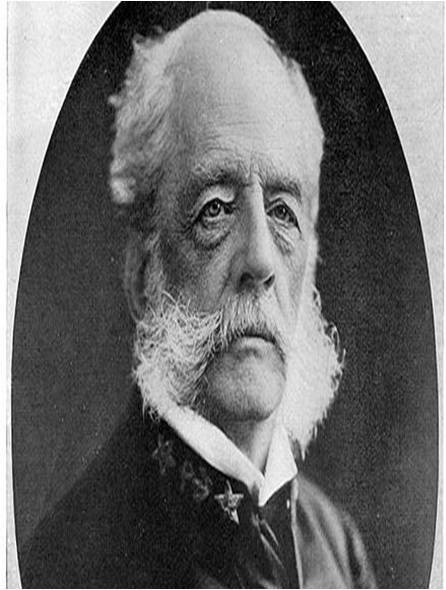 The Luces had a large impact in history, long before Harry Luce and his “American Century.” Consider Admiral Stephen Bleecker Luce, founder of the Naval War Academy at Annapolis and proponent with Alfred Thayer Mahan of America’s Manifest Destiny (fifth cousin, four times removed) and Renaissance woman Clare Boothe Luce (wife of seventh cousin, twice removed). Hank Luce III, past president of the Henry Luce Foundation, was a friend and supporter of my organization Fundamentalists Anonymous (FA) dedicated to fighting religious extremism. I wrote an obituary last year for his colorful wife Leila. 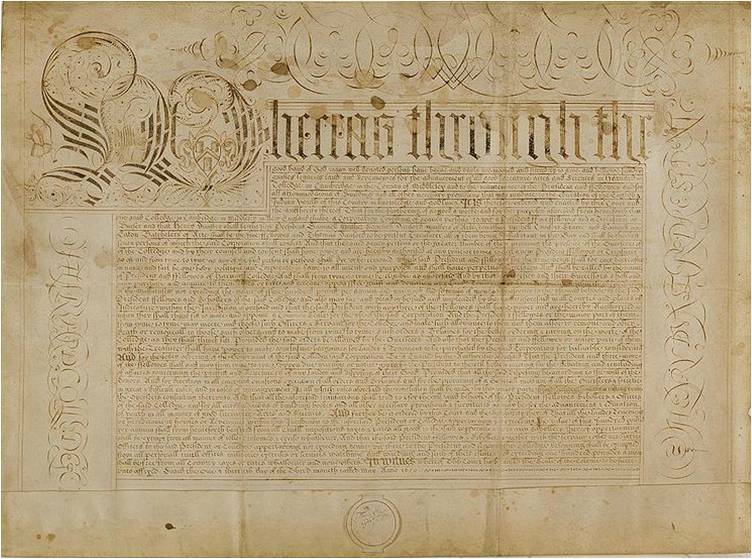 Charter of Harvard College, signed in 1650 by Gov. Dudley, my ninth great grandfather..
My mother’s Harvard side of the family — the Dudley’s — always looked down on the Luce’s since they arrived in 1663, several decades after the Dudley’s arrived in 1630. Thomas Dudley, the Third Governor of the Massachusetts Bay Colony, signed the Charter that created Harvard University. His daughter, Anne Bradstreet, was the first published female poet in either the Colonies or England (he is my ninth great-grandfather. This means I am somehow related to other Dudley descendants such as Connecticut Gov. Lowell P. Weicker, playwright Tennessee Williams, comedian Kelsey Grammer, actor Christopher Reeve, astronaut Rear Admiral Alan Shepard, and Yale’s A. Bartlett Giamatti. 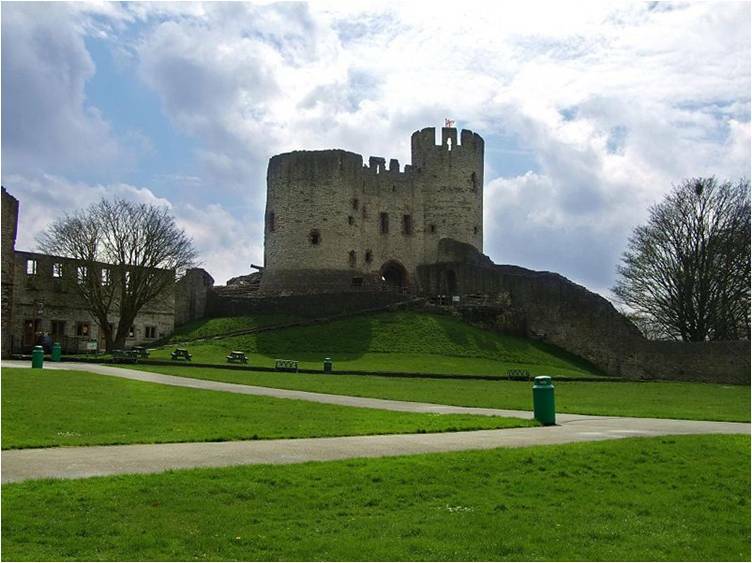 Dudley Castle, West Midlands, England, is where the longest line of my descendants comes..
Luckily, my father’s Yale side of the family also have the Delano’s, who go back to Plymouth (Lt. Richard Warren, Nathaniel Warren, Mercy Warren, Jabez Delano Sr., Jabez Delano Jr., Jabez Delano III, Capt. James Delano, Sophia Delano Luce, Rev. Frank Leonard Luce, Stanford Leonard Luce Sr., Dr. Stanford Leonard Luce Jr., James Jay Dudley Luce). It is amazing to know that the same side on which I am related to FDR, the husband of my second great-grand aunt Sophia Delano Luce, in a line that goes back to my eleventh great-grandfather Jean De Lannoy, born in Aquitaine, France in 1511. But the Dudley side is longer, going back to my thirtieth great-grandfather in 1030 in Lincolnshire, England. That, believe it or not, is my great-great-great-great-great-great-great-great-great-great-great-great-great-great-great-great-great-great-great-great-great-great-great-great-great-great-great-great-great-great-great-grandfather DeSutton. Luce Hall at the U.S. 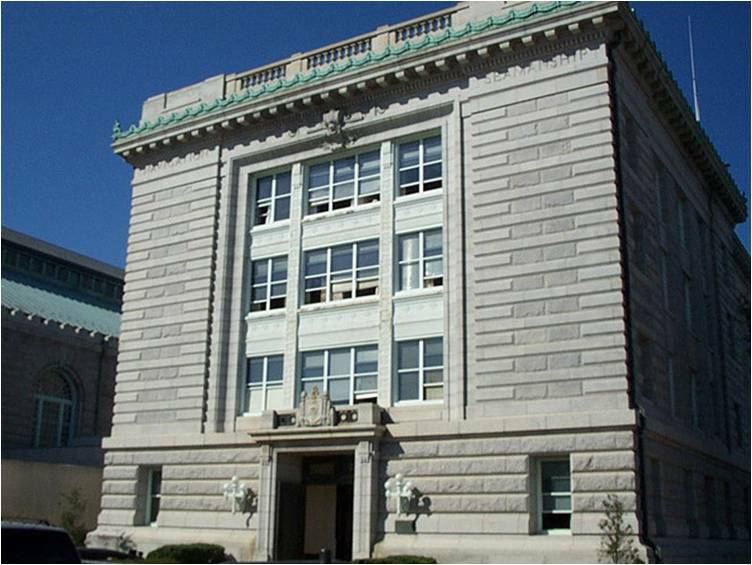 Naval Academy, housing the departments ofLeadership, Ethics, and Law, was named for Stephen Bleecker Luce. I remember my paternal grandmother explaining to me the importance of her family, the Foote’s, but now I cannot recall exactly why. I know they trace back to John Foote, my twelfth great-grandfather, who was born in 1490 in Hertfordshire, England. 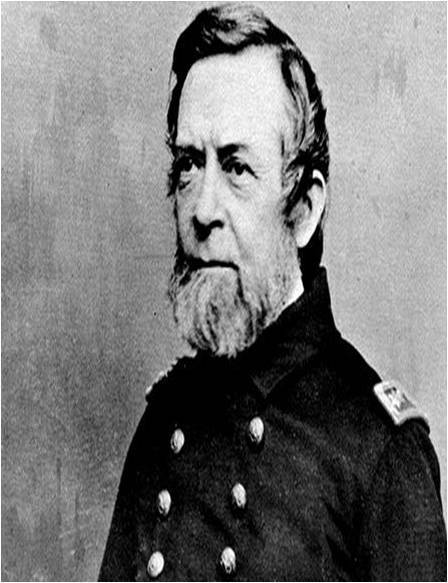 Perhaps Grandmother Foote-Luce was talking about Rear Admiral Andrew Hull Foote, my fifth cousin four times removed, or maybe his father, U.S. Senator Samuel Augustus Foote. She has passed on, a wealth of information now buried. led the gunboats in the Battle of Fort Henry..
As in most families, our family genealogy has been handed down verbally, in old records, and in family Bibles. As a child, my paternal grandmother dragged me to see Luce Hall at Annapolis, while my maternal grandmother pulled me around Harvard Yard to see Dudley House and the Dudley Gates. The Internet had helped confirm all of the notes I have taken since the age of ten, and has filled in missing gaps. 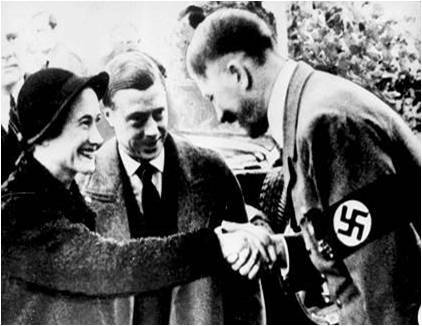 My grandmother Irene Simpson, for example, explained how she was related to Wallis Simpson, who went on to marry King Edward VIII, who was then downgraded to Prince Edward, Duke of Windsor. We’re cousins of some kind. Although Granny lived to be 102, she too is now gone and I can no longer confirm with her. 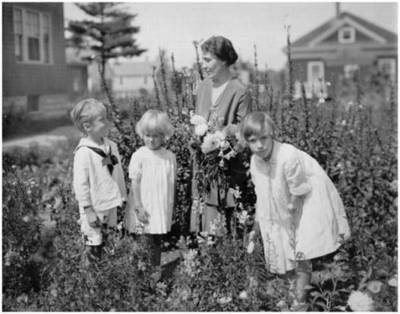 My mother, Frances Dudley Alleman-Luce (child, middle), with her motherIrene Simpson Alleman, brother Dudley Alleman, Jr. (r.) and Irene Alleman (l).Taken in their back yard in Portland, Maine, 1928.. The other week my electronic calendar informed me it had been fifteen years to the day that I had brought my adopted son Mathew James Luce home from Indonesia. The same week I helped him with his genealogy homework assignment. I explained to him about “Boston Brahmins,” the historic core of the East Coast establishment that my own father rejected. Mathew was able to report in his homework his “roots” to the Delanos, Dudleys, Footes, Luces, Simpsons, Tafts, Warrens, and Winthrops. Who knows what his teacher thought. In theory, America is a meritocracy, the nation of pulling yourself up by your bootstraps. Pedigrees are not supposed to matter. 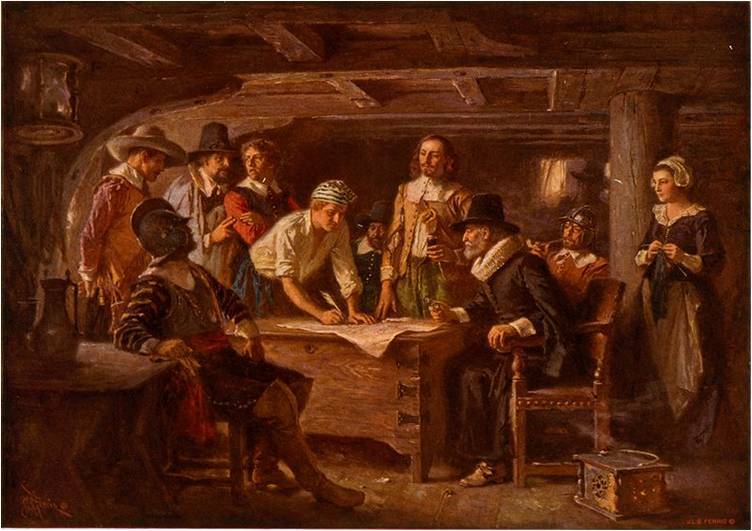 My mother’s father, Dudley Alleman, is the boy sitting in the middle..
My ninth great-grandfather Richard Warren co-signed the Mayflower Compact..
Born in 1640, Robert Taft was my ninth great-grandfather. This makes President William Howard Taft my fifth cousin, a mere five times removed. From 1901 to 1903, this distant relative served as the first civilian Governor-General of the Philippines following the Spanish-American War. Coincidently, Alphonso Taft, my fourth cousin, six times removed, founded Yale’s Skull and Bones Society. My ancestors were as bad as they were good. Some are presumed to have captained slave ships, and others are documented to have owned slaves. 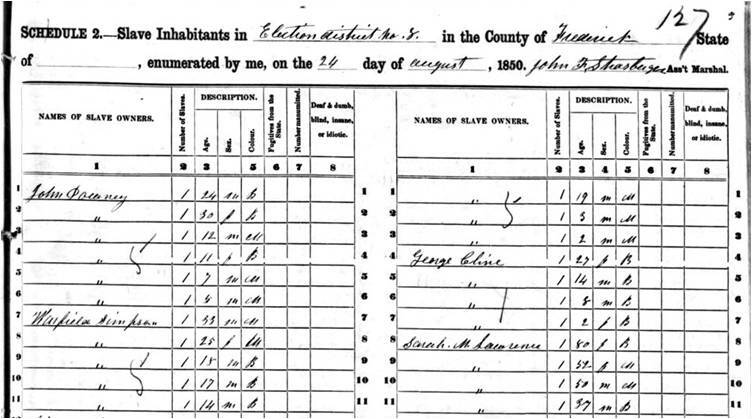 The government record of my second great-grandfather, Warfield Simpson, shows that he had five slaves, “Black” and “Mulatto,” in 1850. I am connected to American slavery, which makes the concept of civil rights so much more real to my son. I am excited to be moving soon to Haiti — the world’s oldest free-slave nation — to work with the organization I founded a dozen years ago, Orphans International Worldwide (OIWW). 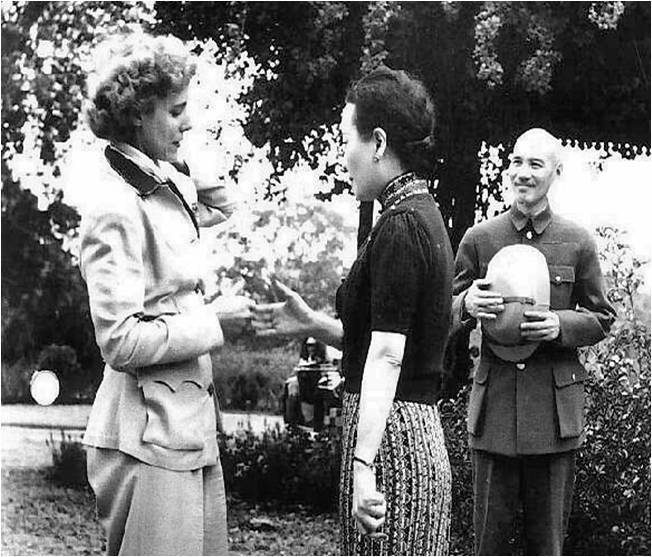 Adolph Hitler, the epitome of evil..
Harry Luce was also a tremendous fan of Chiang Kai-shek and admired Mussolini in his early days. Wally Simpson was on friendly terms with Adolph Hitler. Slave records for Warfield Simpson, 1850 – my great-great-great grandfather.. In my family there are doctors, lawyers, ministers, professors, naval officers, governors and senators – with lots of gentlemen farmers thrown in. Very few were business people. 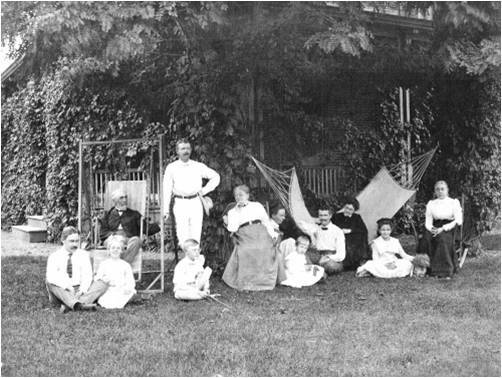 Harry Luce of Time-Life was unique in that his own father was part of the Presbyterian mission in China, along with Pearl S. Buck, where Harry was born. Although we have some Protestant, French Huguenot roots, it is mostly White Anglo-Saxon Protestant (WASP). Most of my ancestors were Presbyterian or Episcopalian (Anglican). of General and Madam Chaing Kai-shek..
My son Mathew wanted to know how our family background has helped us, and how it related to the egalitarian ideals of America he is learning in social studies. He realizes that in any family you have the good, the bad, and the indifferent. I explained that in my own experience being “Brahmin” – and having a Metrocard – gets me on the subway. He thought that was pretty cool, too. Originally published in The Huffington Post, October 16, 2010. Edited by Ethel Grodzins Romm.